We often run group discussion (focus groups), one-on-one interviews, product testing, and/or a brainstorming workshop in a facility in a central location. We will keep in mind the travel cost if we require you to travel to the facility. These activities could range from a 30 minutes meeting to up to 6 hours of engagement. You will meet new people, learn about a new topic, and help us create new products/services! Bulletin board – an exercise of posting and commenting on public posts, from 10-30 minutes of time requested daily. TIME: This could last between 1 to 5 days. Diary/Journaling – a daily exercise of posting your specific part/topic of daily activities that could include taking pictures, creating photo/image albums, writing thoughts, and/or answering questions. TIME: from 10-30 minutes each day. From 1 to 5 days of activities. Online community – participating in an online conversation (could be a live conversation or over a few days) about a certain topic, doing online exercises such as rating likes/dislikes, sorting images, etc. together with several other members of the online community, just like any social media chatroom. TIME: from 10-30 minutes each day. From 1 to 5 days of activities. Online interview – participating in an individual interview using the audio and video capability of our laptop/computer. You will “meet” with an interviewer and will be asked a series of questions or asked to respond to a series of images/visuals that they share with you on your screen “live” or as previous “homework exercise”. TIME: from 30-90 minutes. There are studies where we also request to visit you in your home to better understand your life. We understand that being invited to one’s home is a privilege and therefore we trained our researchers to be as invisible as possible and to be the least intrusive as possible to your private space. For example, when we want to find out more about your pet, we would conduct an in-depth interview with you, meet your pet, observe where it eats, sleeps, and plays! One of the things we love about being researchers is getting to know people in an environment they are familiar with and feel most at home. When we want to know your grocery shopping habits, we go shopping with you. When we want to know how much you love fashion, we go and select some clothes together with you. When we want to know more about your car and driving habits, we would hang out in the garage or perhaps go for a drive with you. This is as close as we can get to spending some time “in your shoes” in order to help design a products/services which would delight our customers. When you register with the WMM team, you can take part in fantastic market research studies and usability tests. 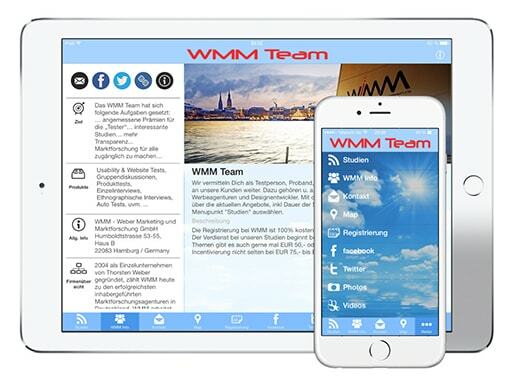 If you are already a member of the WMM Team and want to know more about what studies are going on, do let us know. We also always post our latest studies needs on our social media page. If you are new to the WMM team, here are where and how you can register to participate in research studies.